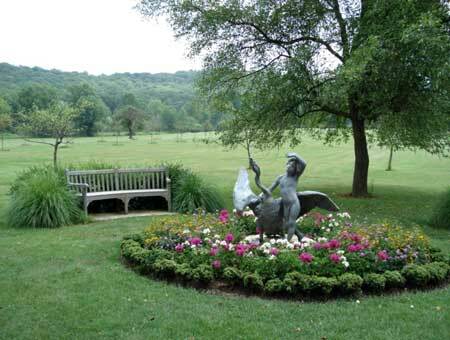 Today the Cora Hartshorn Arboretum and Bird Sanctuary, a non-profit organization, operates an environmental education and cultural center for residents of the surrounding communities. Its mission is to foster, through demonstration and participation, awareness and respect for nature and the environment. A unique and quiet oasis in the center of a busy suburban community, the Arboretum boasts a diversity of native wildflowers and trees. People of all ages visit the Arboretum to walk the three miles of trails, attend environmental classes and enjoy bird-watching. The Durand-Hedden House is an historic house museum owned by the Township of Maplewood and managed by a non-profit association of citizen trustees. Its purpose is to preserve, restore and interpret the historic Durand-Hedden House and grounds and related collections. It is dedicated to providing diverse educational exhibits and programs that foster the public’s knowledge and appreciation of the heritage and development of the Maplewood area and surrounding towns from the time of its original settlement in the late 17th century to the late 20th century. Built during the Gilded Age, the 127-acre Frelinghuysen Arboretum features numerous themed gardens, nature trails, an education center offering year round programs and events and a café with seasonal hours. 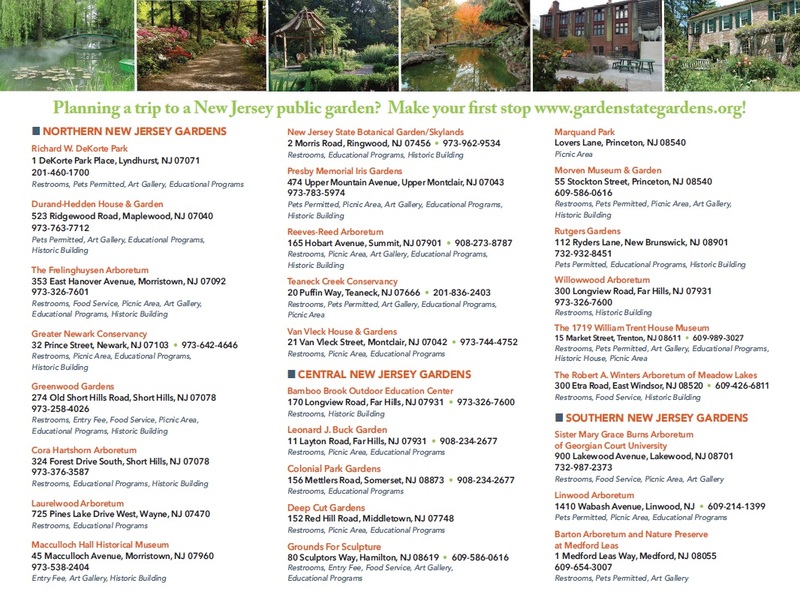 Greenwood Gardens is a 28-acre public garden surrounded by 2,153 acres of parkland in Short Hills, NJ; which is accessible from New York City by car or NJ Transit. Please visit our website for our hours of operation. 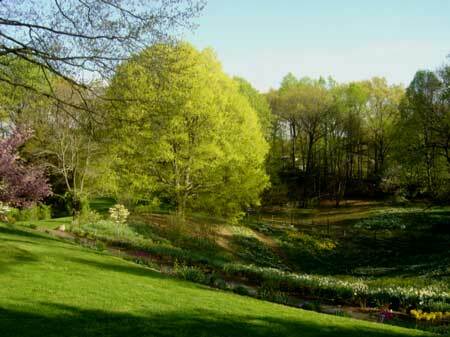 Laurelwood Arboretum is a 30-acre botanically diverse property located in Wayne Township, New Jersey. 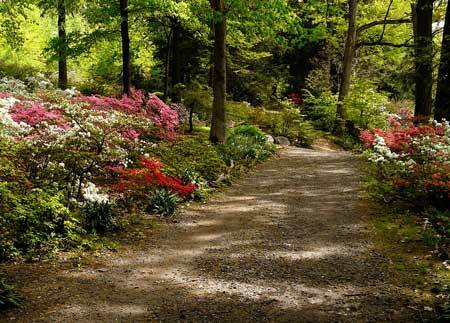 The arboretum features woodland trails, display gardens, wildlife, two ponds, streams and hundreds of varieties of rhododendrons, azaleas and other unusual species of plants and trees. 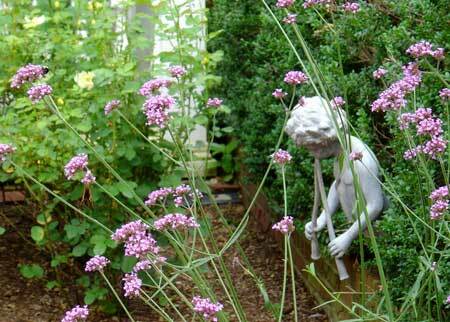 New additions are an accessible Sensory Garden and The Knippenberg Center for Education. Located in the heart of Morristown’s National Historic District, Macculloch Hall Historical Museum is an 1810 house with period rooms, exhibit galleries and historic gardens, featuring a large collection of original artwork by 19th century caricaturist Thomas Nast. George Macculloch, a Scotsman born in Bombay, immigrated to America from London with his wife and two children in 1806. Settling in Morristown in 1810, Macculloch built a Federal-style brick mansion on a 26-acre gentleman’s farm. 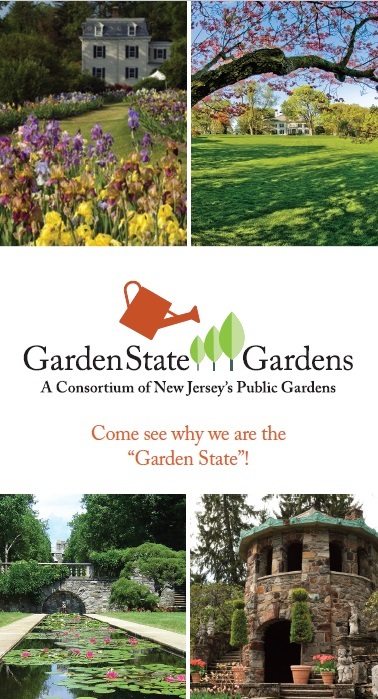 The Presby Memorial Iris Gardens was established in 1927 to honor Frank H. Presby of Montclair, a leading horticulturalist and a founder of The American Iris Society. This living museum, listed on the State and National Registers of Historic Sites, offers a display of thousands of iris varieties. 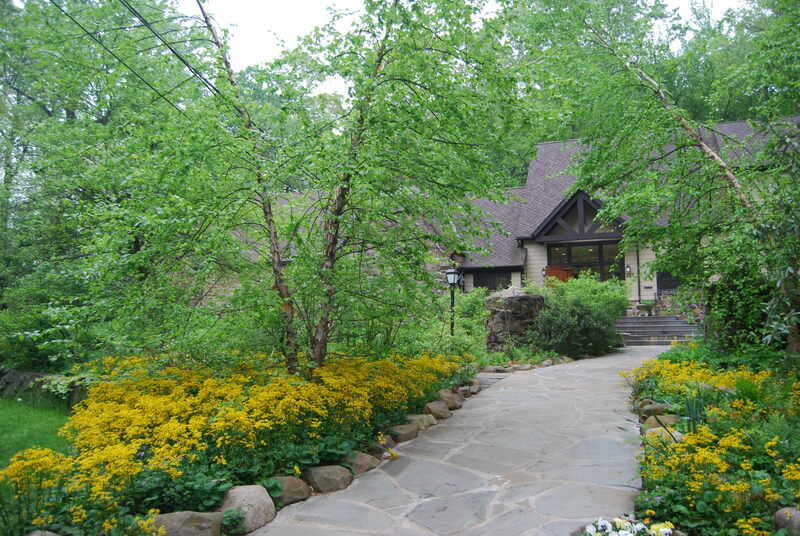 With landscapes designed and built by Calvert Vaux, Ellen Biddle Shipman, and Carl Pilat during the American Country Place Era of landscape design, Reeves-Reed Arboretum is open year round offering formal and natural gardens, woodland trails, educational programming, and seasonal events. Families, school groups, bird watchers, plant enthusiasts, joggers and nature lovers visit Richard W. DeKorte Park, which encompasses roughly 110 acres of brackish marsh, reclaimed landfills and nature trails. Hundreds of species of birds, butterflies, reptiles and mammals make their home or stop here during seasonal migrations; the park is located along the Atlantic Flyway, the main thoroughfare for migrating birds. 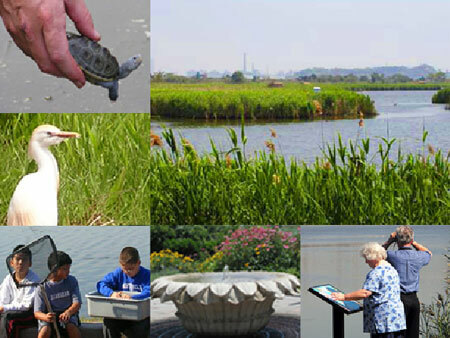 The Teaneck Creek Conservancy is a member-supported, non profit organization dedicated to the reclamation and protection of the environmental, cultural, and historical legacy of the Teaneck Creek watershed. For over 15 years, TCC has worked with community leaders, environmentalists, educators, artists and a dedicated group of volunteers to create an urban oasis unlike any other. The 46 acre parks features 1.3 miles of passive trails, spectacular ecological art exhibits, native plant and butterfly gardens and world-class bird watching opportunities. Teaneck Creek Park will restore your balance and heighten your appreciation for what can be done with a little passion and an unique vision. A classic & early 20th century Mediterranean-style house, surrounded by the estate’s six acre park-like setting, welcomes visitors to enjoy all the garden spaces and to join us for classes, concerts, and special events.